Why is My First Grader Allowed to Have Spelling Errors? If you have a child in first, second, or even third and fourth grade, you may notice homework or graded papers coming home with multiple spelling errors that are not counted. You may have also questioned this. After all, they are supposed to be learning about spelling, aren’t they? So, why would a teacher ignore such mistakes? Do they not teach spelling anymore? Beginning in the first grade, students must begin writing complete ideas and even paragraphs. This requires the child to first master letters and then put them together into words. Next, they must figure out how to put those words together in a way that makes sense both to them and to others. It takes a lot of effort for someone so young. 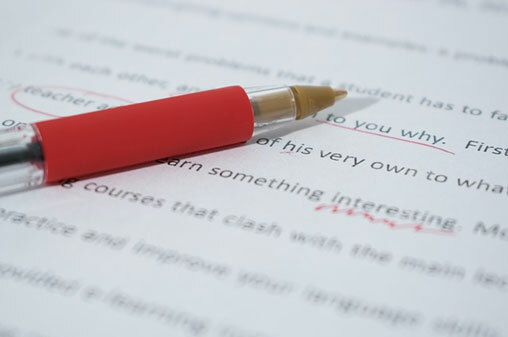 In response, teachers may choose to ignore spelling mistakes in younger grades as a way to allow the student to focus more on the process of writing itself. It’s a method called inventive or temporary spelling. Children simply spell out the words to the best of their ability or by the way it sounds. This way the children think solely on what they want to write and how to put pieces of sentences or paragraphs together. And recent studies back up this method, saying that it allows children to write more fluently, quickly, and use a richer vocabulary than students who had the check their spelling along the way. Even in older grades, spelling is not always given top priority, at least not at first. This again goes back to the writing process. Most educators agree that there is a certain process that goes into writing pretty much anything. First, there is the gathering and grouping of ideas, then ordering those into sentences and paragraphs, and then reorganizing everything so that it has a single cohesive goal. When the piece has been completely shaped, only then do teachers suggest editing, the final and last step of writing. This is when they check for the minor details, such as correct spelling, usage, and punctuation. When constant criticism on their spelling happens, no matter how small, it tends to get in the way of the natural writing process. 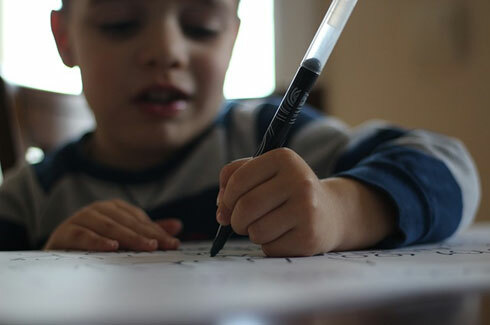 If the child has to stop and figure out how to spell words correctly before they go on, it slows the whole process down considerably, often making them lose focus or their ideas. This also makes the child focus on their mistakes and can make them feel rather negative about the whole process. Some children get so discouraged they learn to not enjoy writing or the process at all. So the next time your child comes home with graded work and you notice spelling errors, don’t assume the teacher doesn’t care or that she isn’t teaching it. Instead, entertain the possibility that spelling may not be the number one priority on that assignment. Spelling is important but it can be learned later if need be.